Office productivity in small to medium business continues to be a significant challenge for most. Simple tasks like managing calendars, dialing in to meetings, reserving conference rooms, searching for information, reporting a problem or requesting assistance with a printer just takes too long. What if you can solve this by simply using your voice? 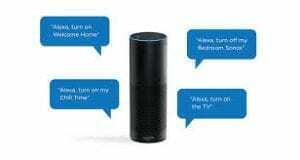 Let us help by implementing a Voice Activated Device to act like a Smart Assistant at work. We’ll set-up the device and let employees use their voice to interact with technology so they can spontaneously get the help they need in a natural way. 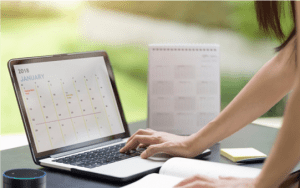 To help you manage your schedule, keep track of your to-do lists, and set reminders –configure your device to integrate with your Calendar and automatically dial into conference calls or even have your PDA make phone calls for you to make things easy. Activate Bluetooth and personalize Alexa to quickly find the information you need. Set-up Conference Rooms to begin meetings and control conference room settings by simply using your voice. Using your new Smart Assistant no need to use remote controls, look up conference call information, or manually dial in to meetings – once implemented, simply walk into the room and say “Computer, start my meeting”, your Smart Assistant gets your meeting started. In areas like the front office a Voice-Enabled device can control equipment like smart TV’s and more. Build your own custom skills, you can easily voice-enable your applications, products and services. We can assist employees with simple tasks like finding an open meeting room, ordering new supplies, or task reminders to complex services so that customers can interact with your application naturally. We can voice enable services like room service ordering for hotels, retrieving inventory levels or getting the status of deal from your CRM. 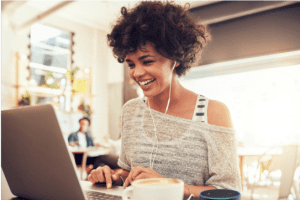 BizCloud Experts, with certified AWS engineers, is experienced in helping organizations reach more customers by adding voice-enabled experience to the connected products. The objective of this service, is to enable and manage Smart Assistant for Small and Medium Enterprises in the our local area. *Remote support/maintenance, break/fix, Onsite support not included, can be added on a per incident basis. Private skills development using serverless frameworks. Enhanced Support including Remote support/maintenance, break/fix, Onsite support not included, can be added on a per incident basis. Solution is custom priced based on requirements, scope, devices, integrations and skill development needs. Looking for an AWS partner that can help you develop additional skills to improve your productivity? Our Certified Architects and Engineers will guide you through a life-cycle of activities in building and enabling new voice skills in your business. 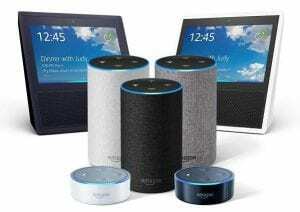 We can also help get your skill certified for the Alexa Skill Store. Pricing for building new skills starts at $250.00 per skill. All skill development is a priced as custom development using agile development methodologies.